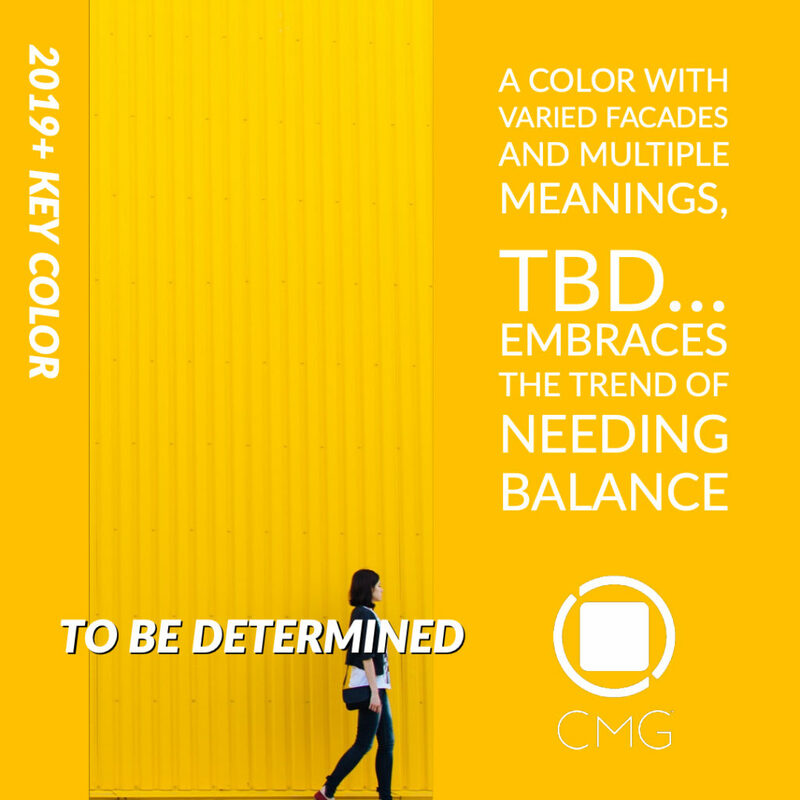 Color Marketing Group®, the leading international association of color design professionals, presents the organization’s forecasted 2019 key color, TBD… (To Be Determined), first introduced at the 2017 International Summit. Future Green speaks of Inner Peace! Can you have 2? Opulencia is such a rich counterbalance.